New limited period offer from Flipkart! 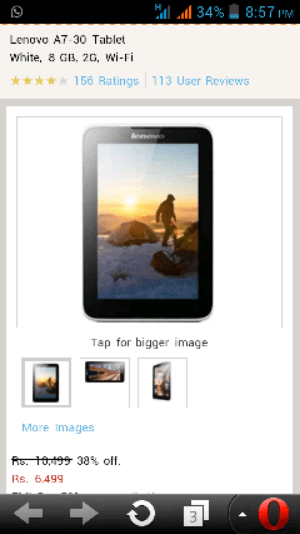 Get Lenovo A7-30 Tablet just for Rs 5849 Rs only on Flipkart website. 1) Goto this offer link and add product to cart. 2) Use SBI card to get extra 10% discount.